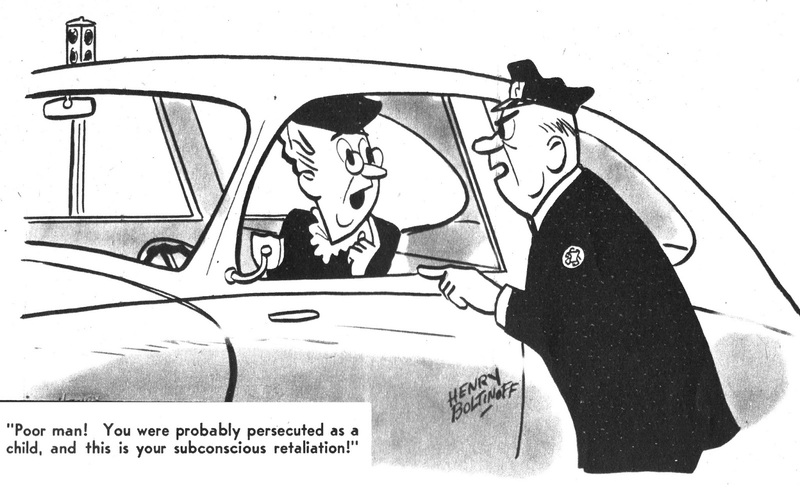 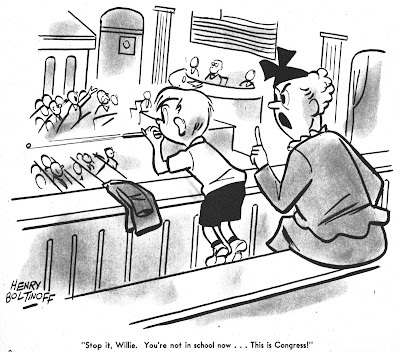 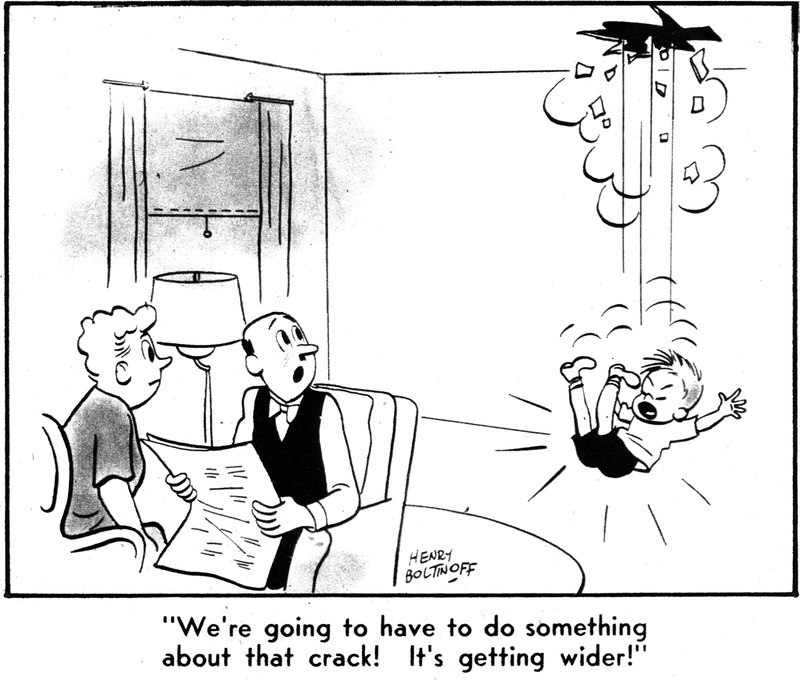 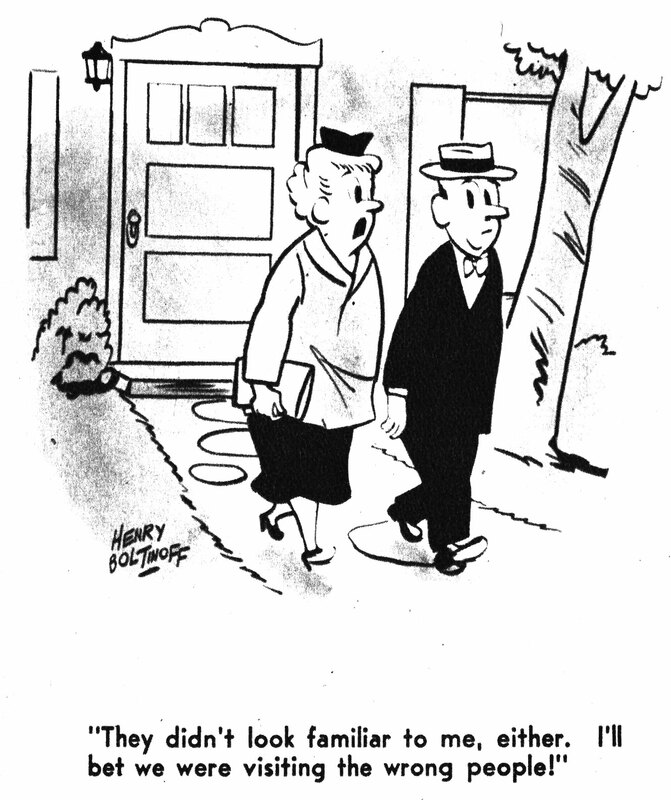 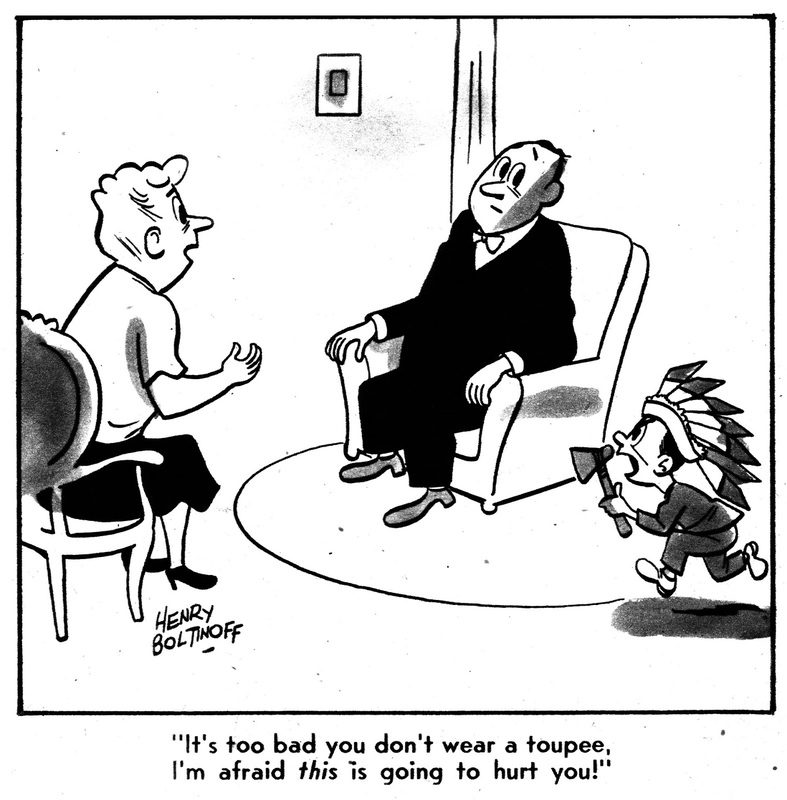 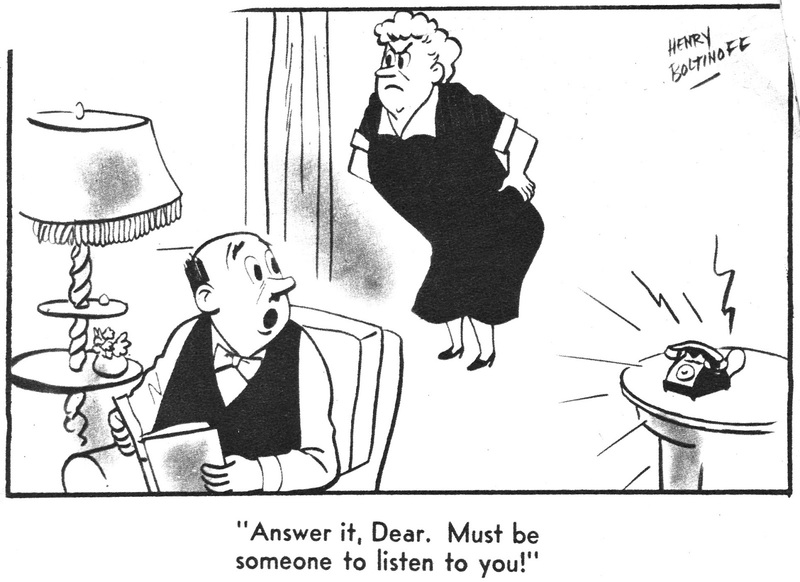 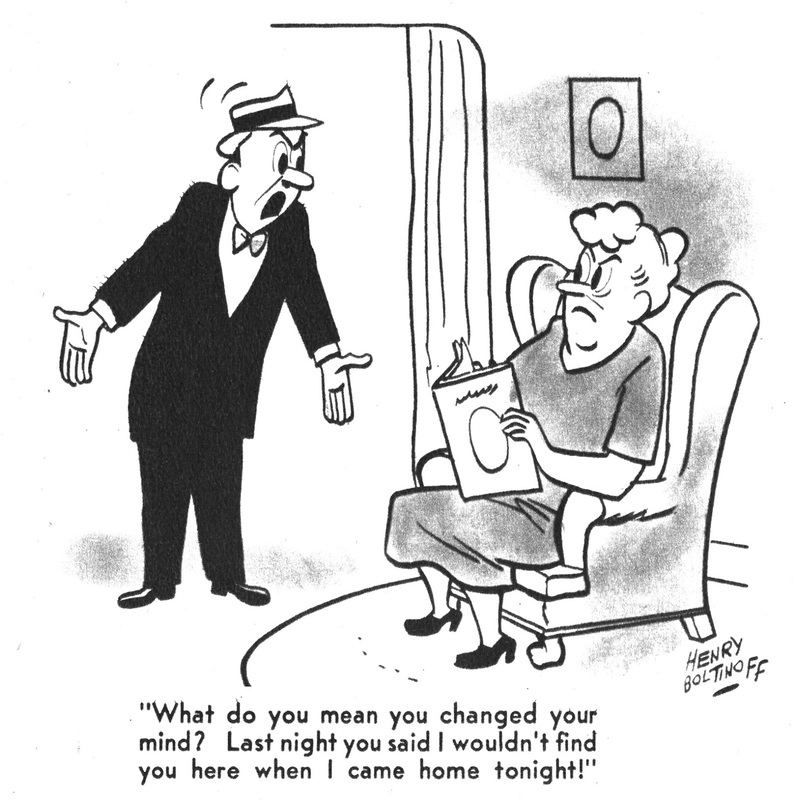 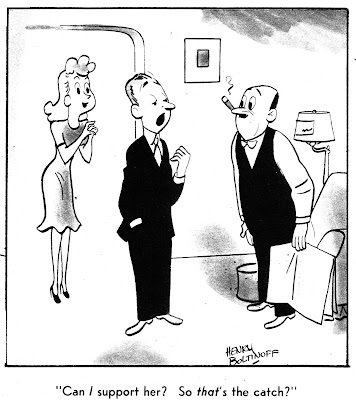 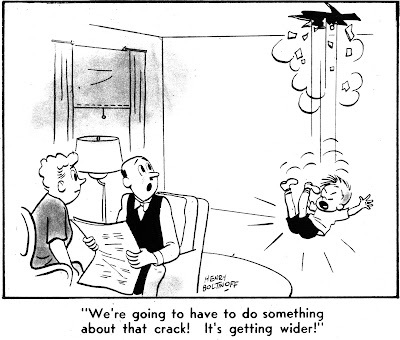 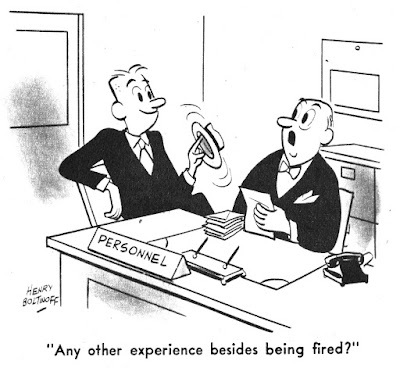 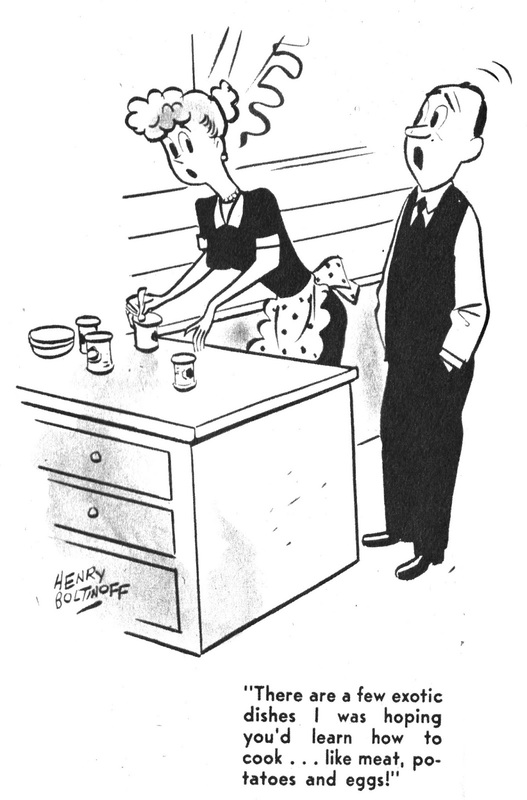 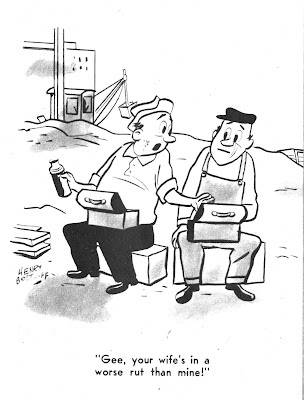 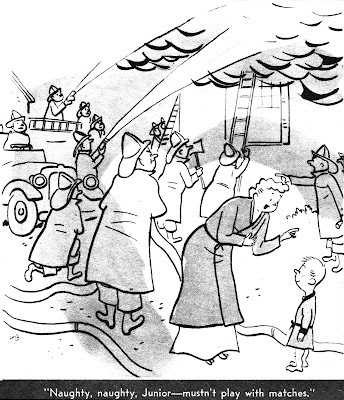 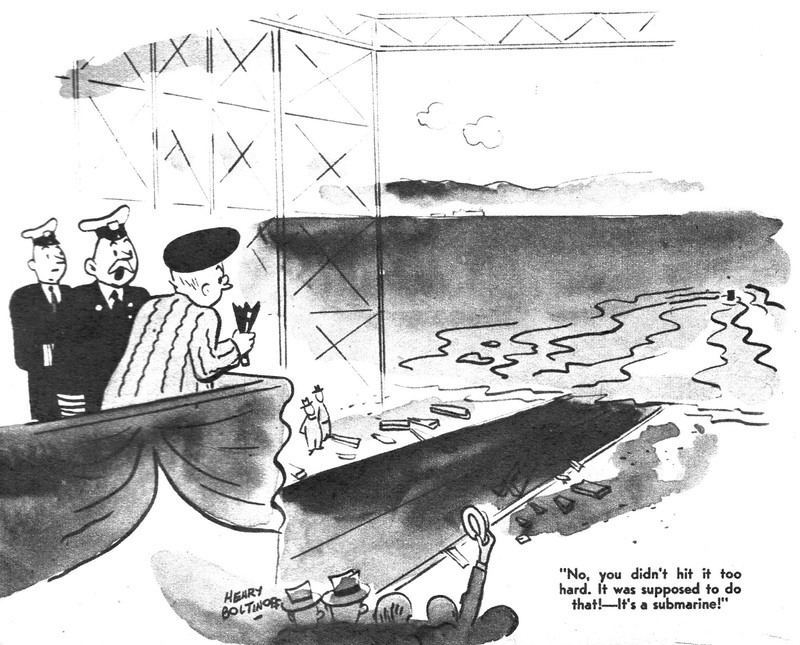 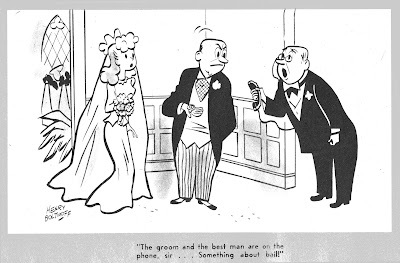 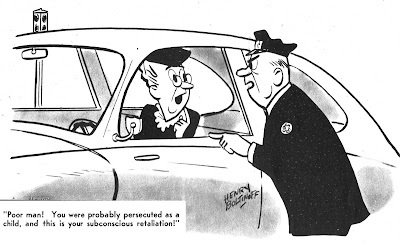 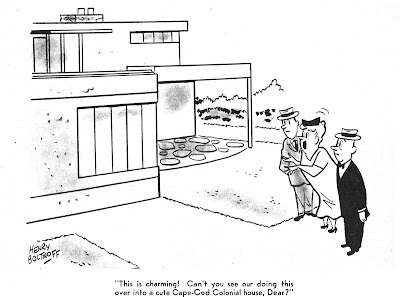 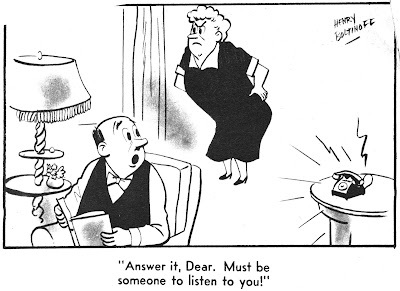 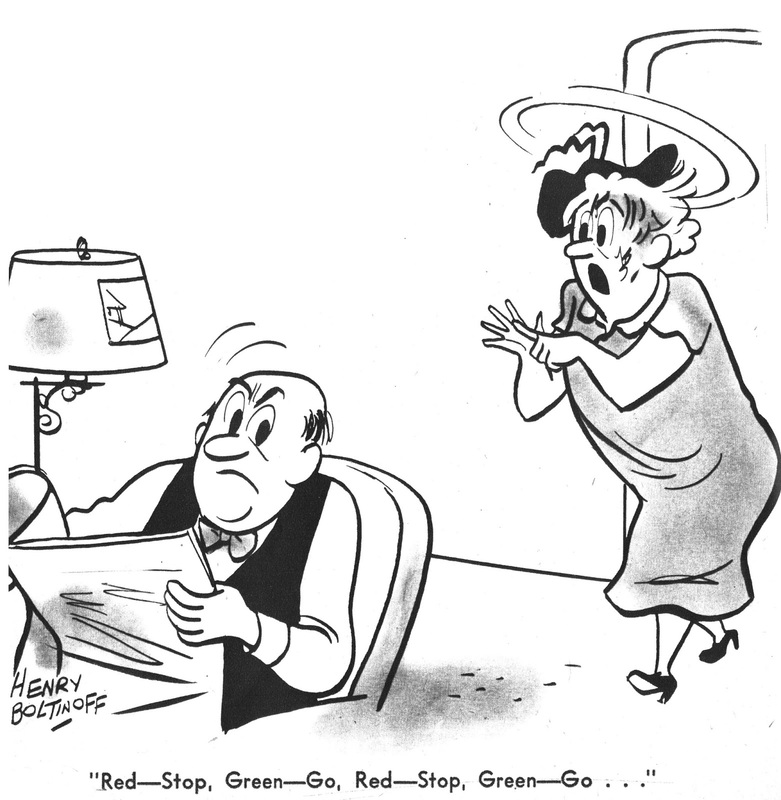 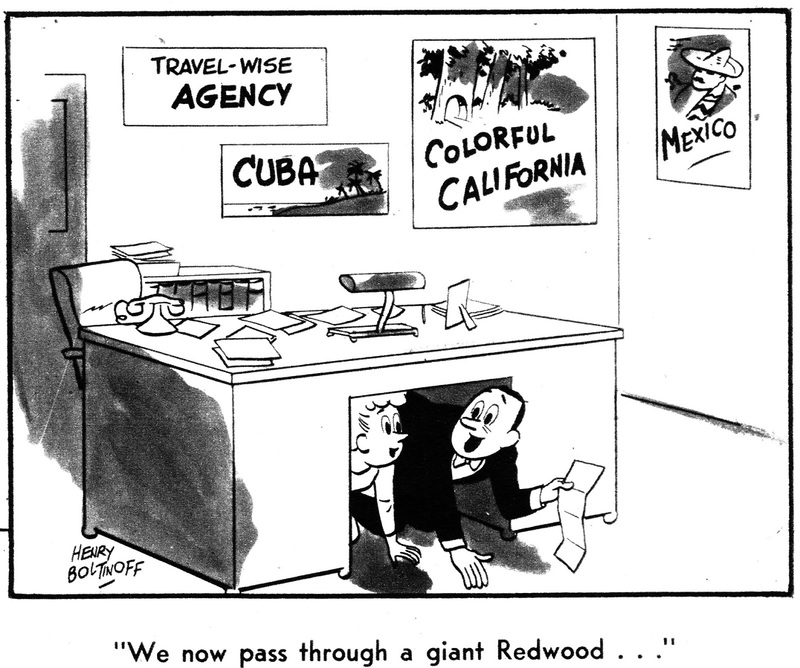 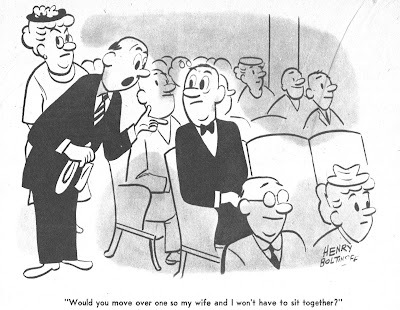 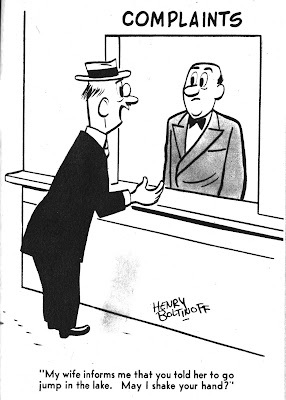 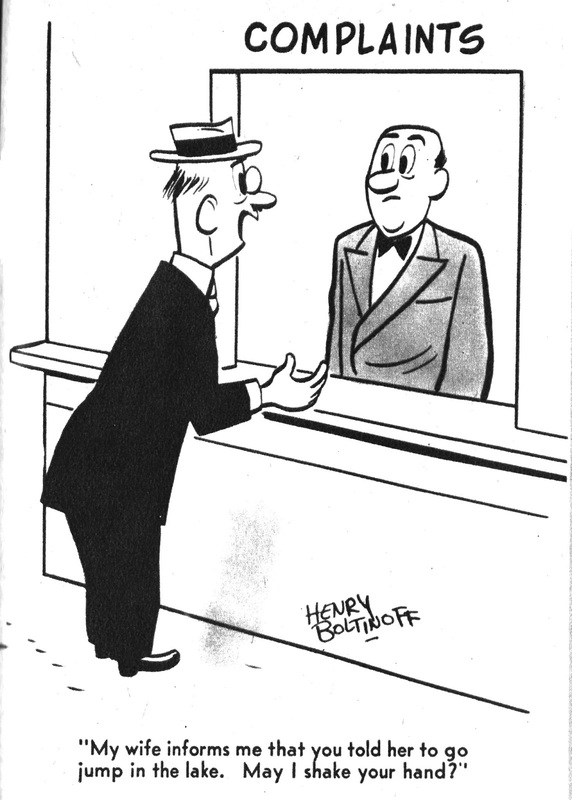 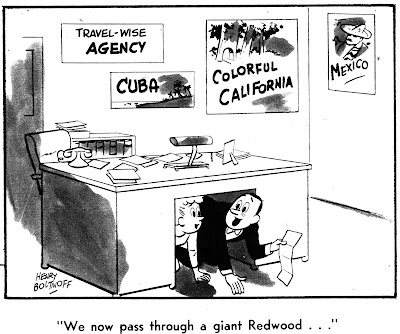 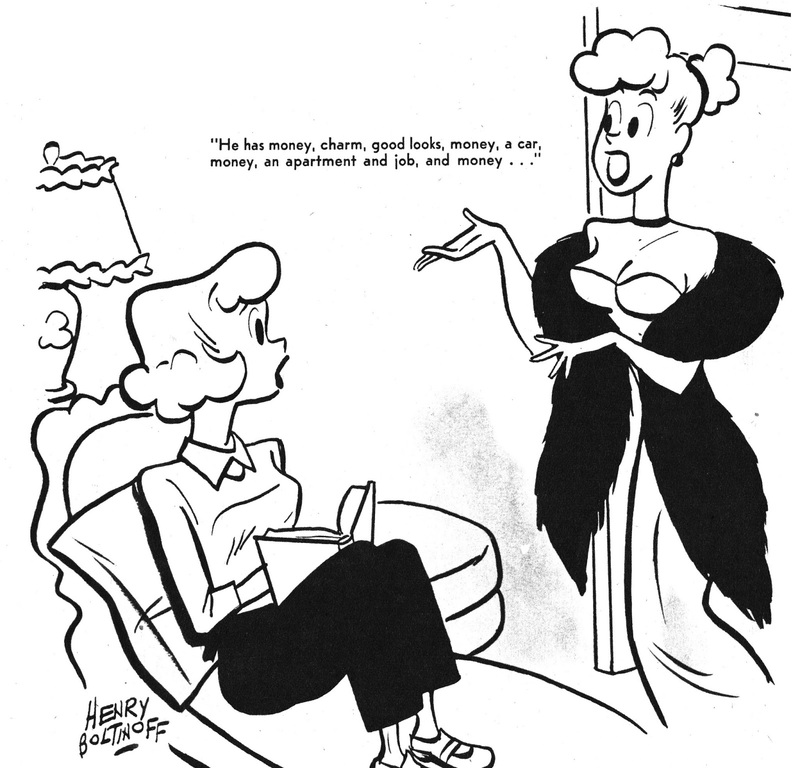 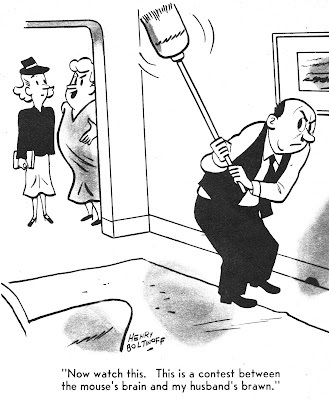 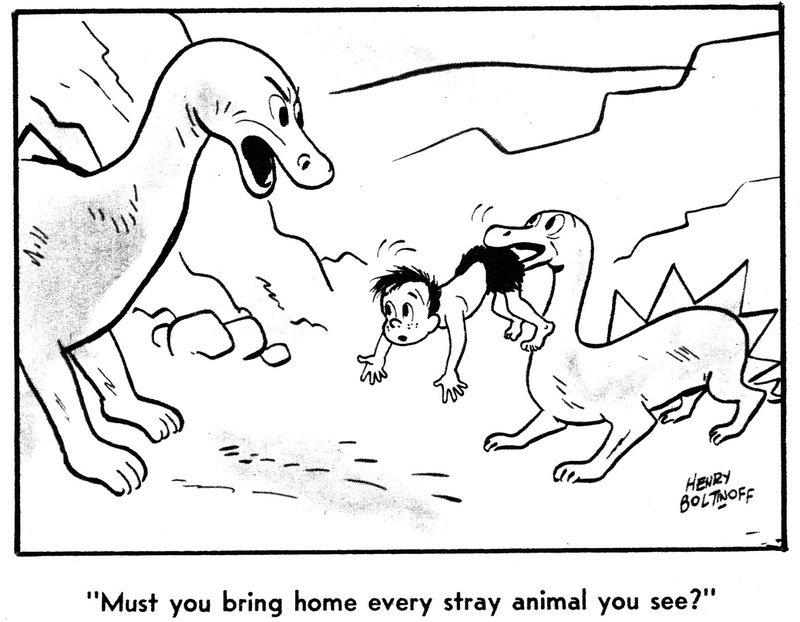 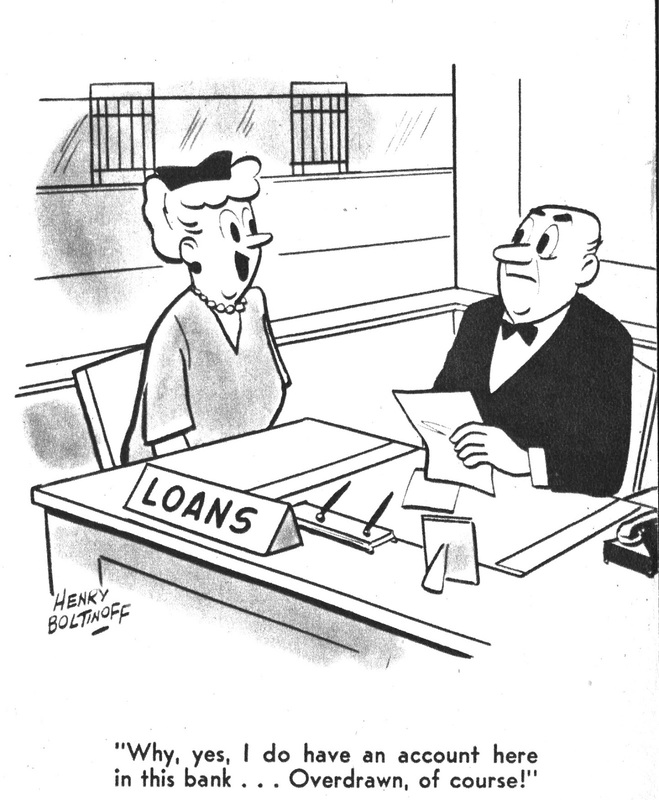 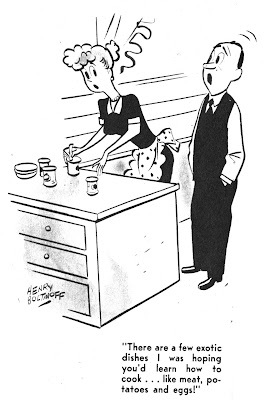 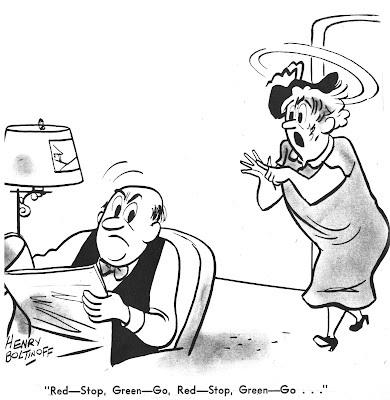 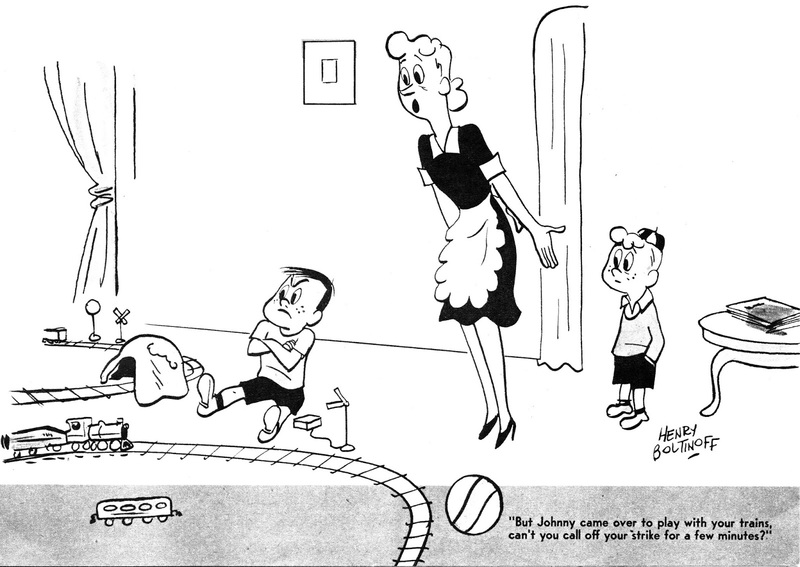 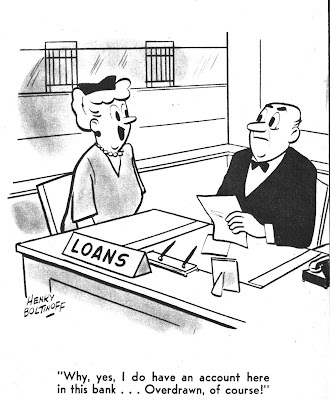 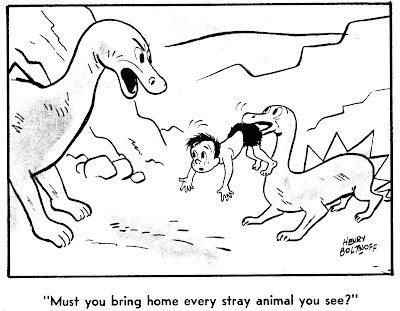 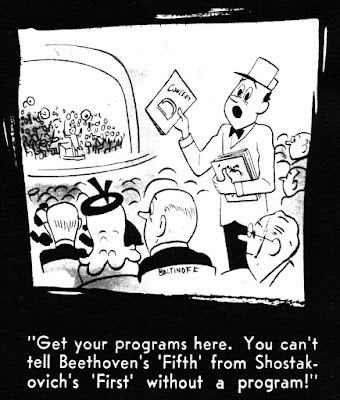 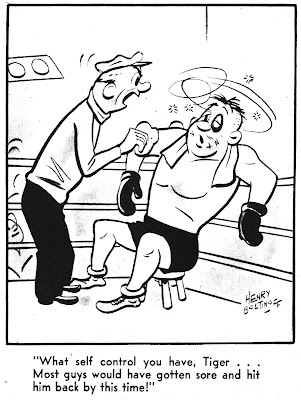 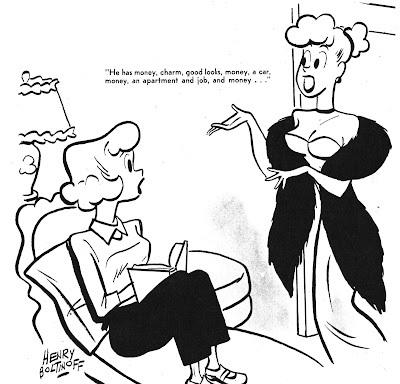 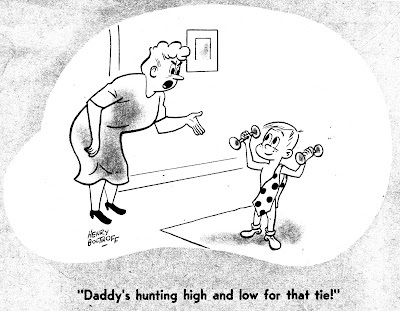 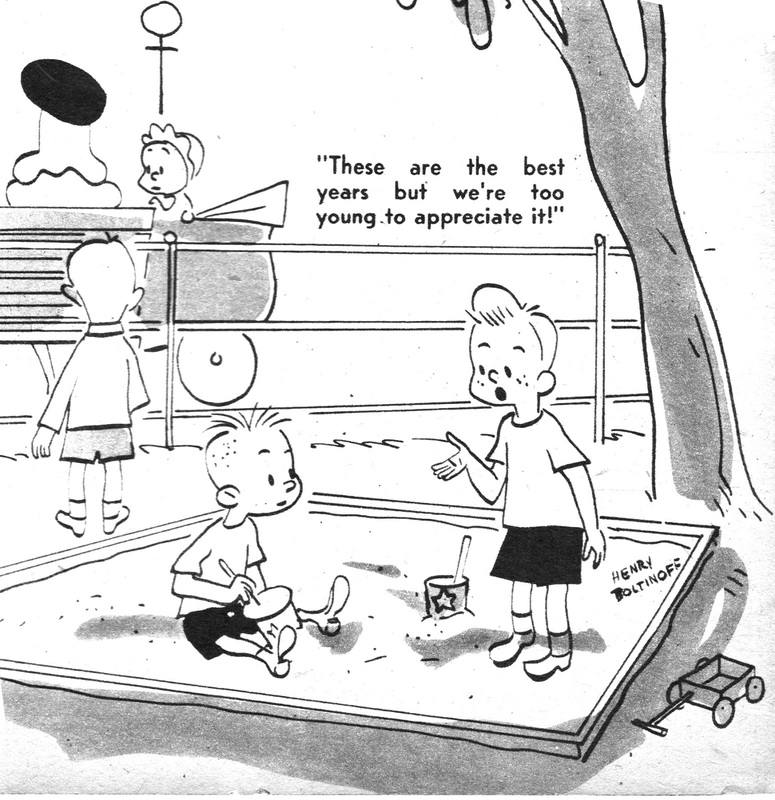 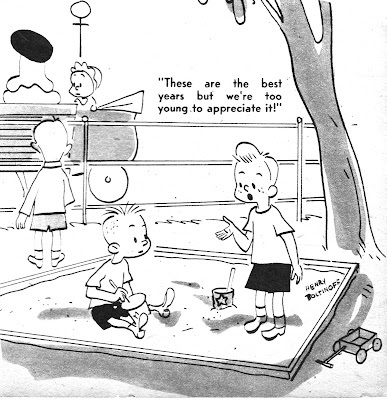 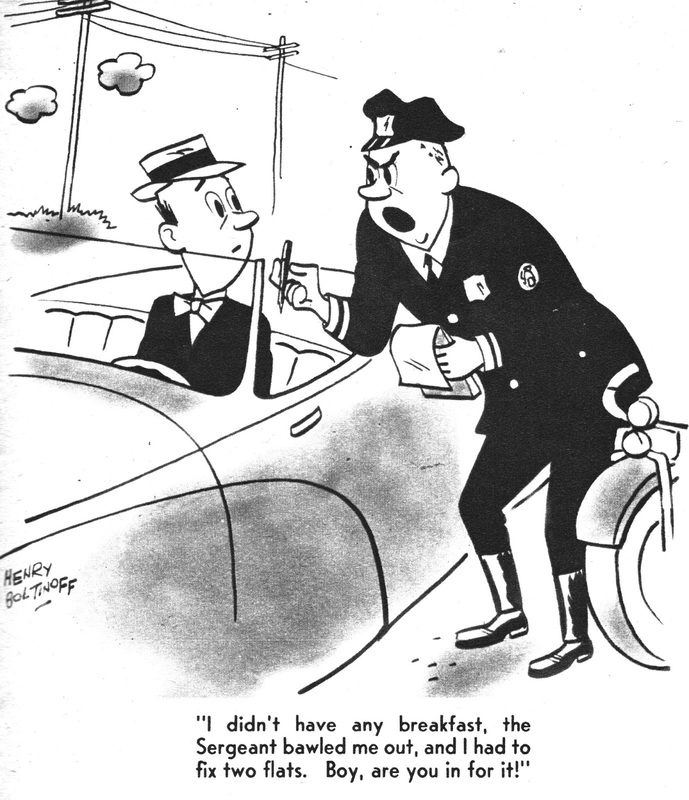 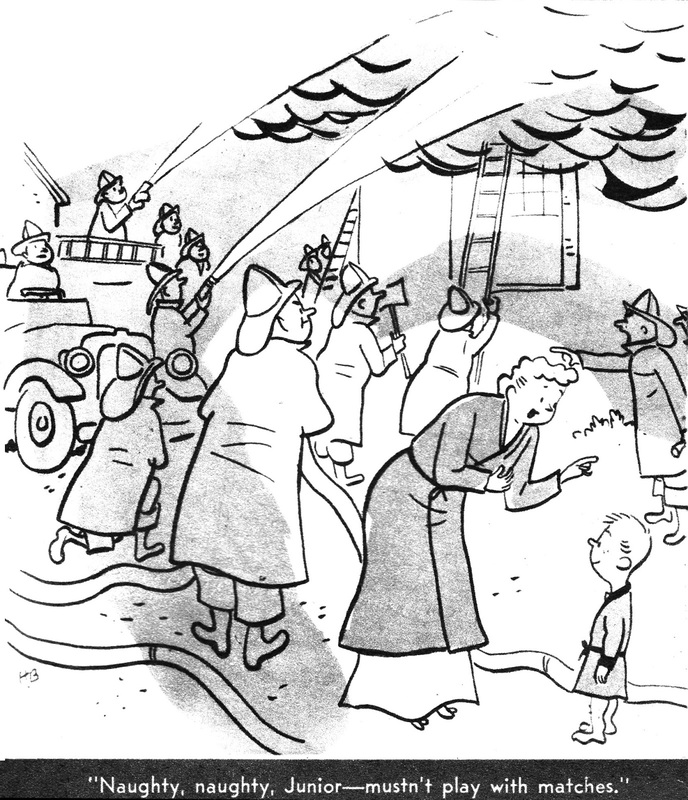 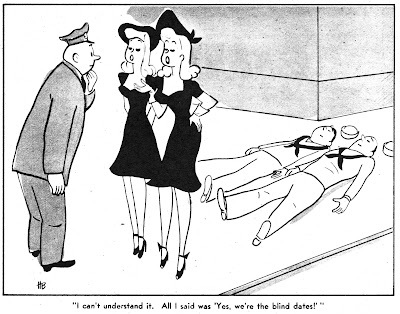 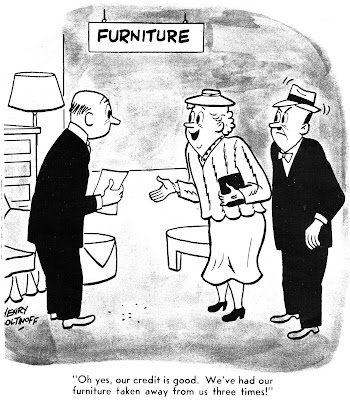 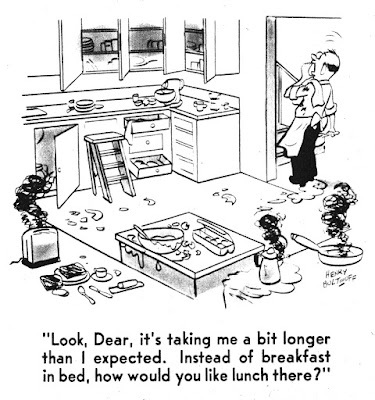 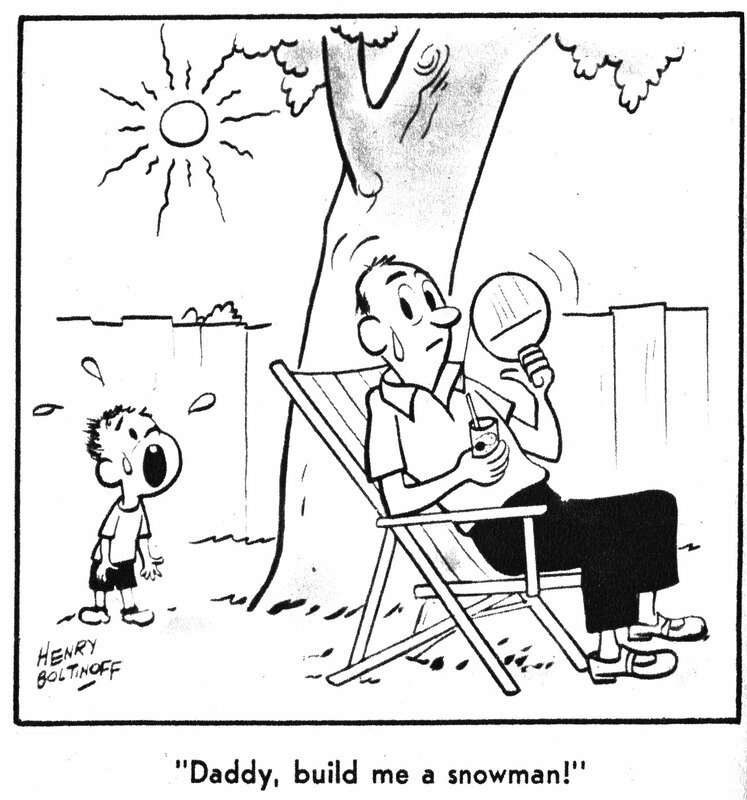 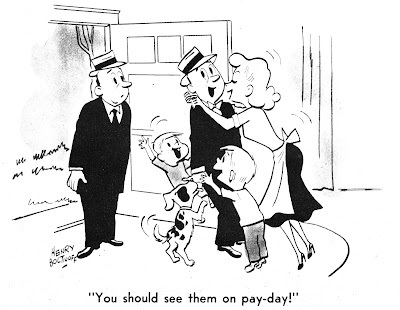 Having collected cartoon magazines from the forties and fifties, I think I can safely say that Henry Boltinoff was the most prolific of the artists working in that period and also the one working the longest. 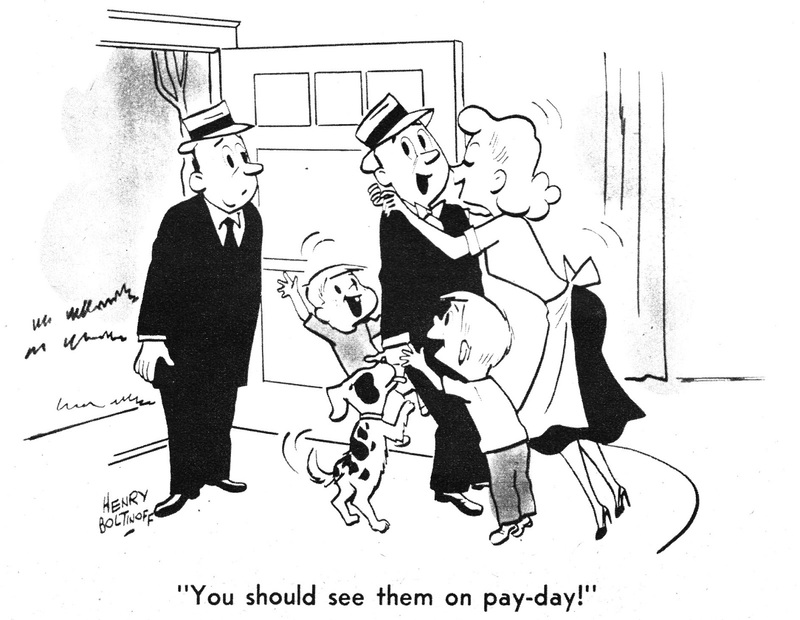 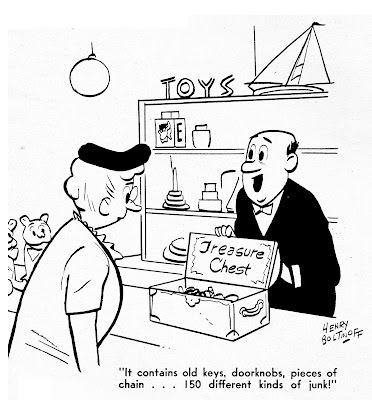 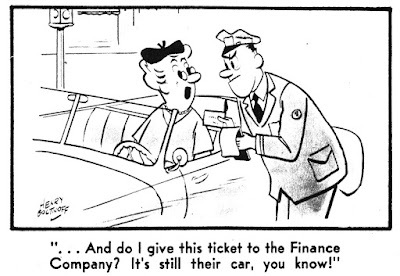 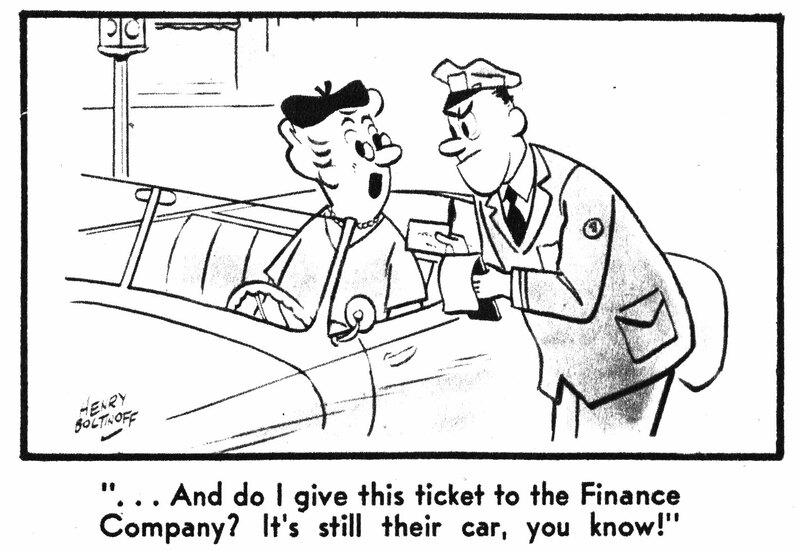 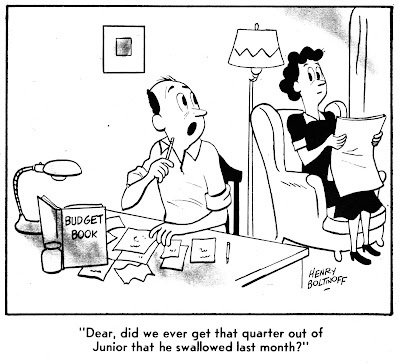 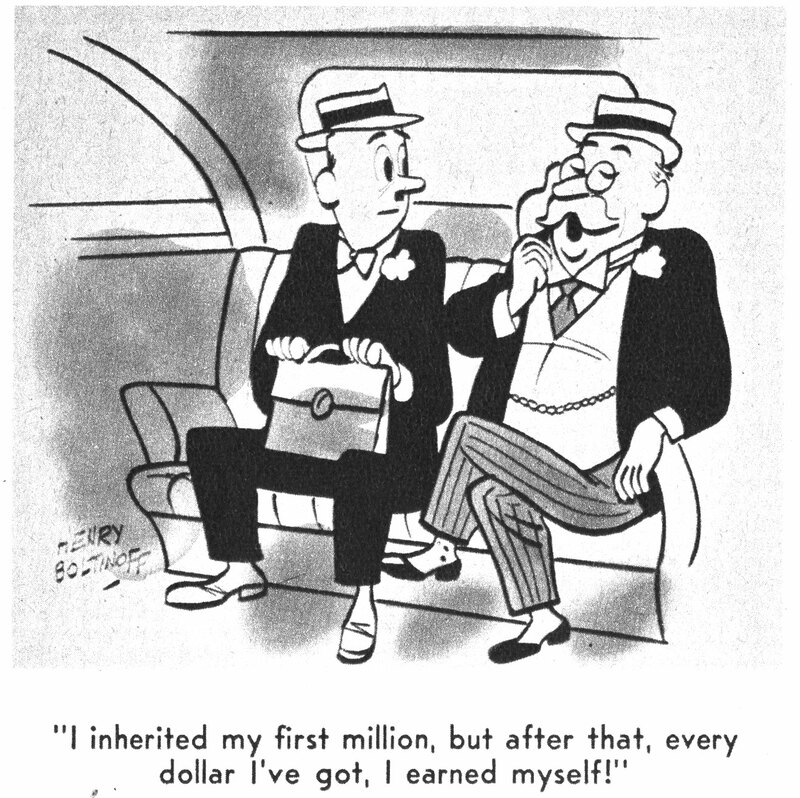 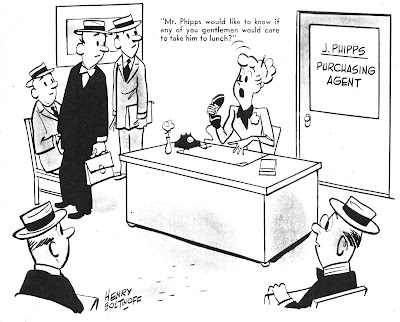 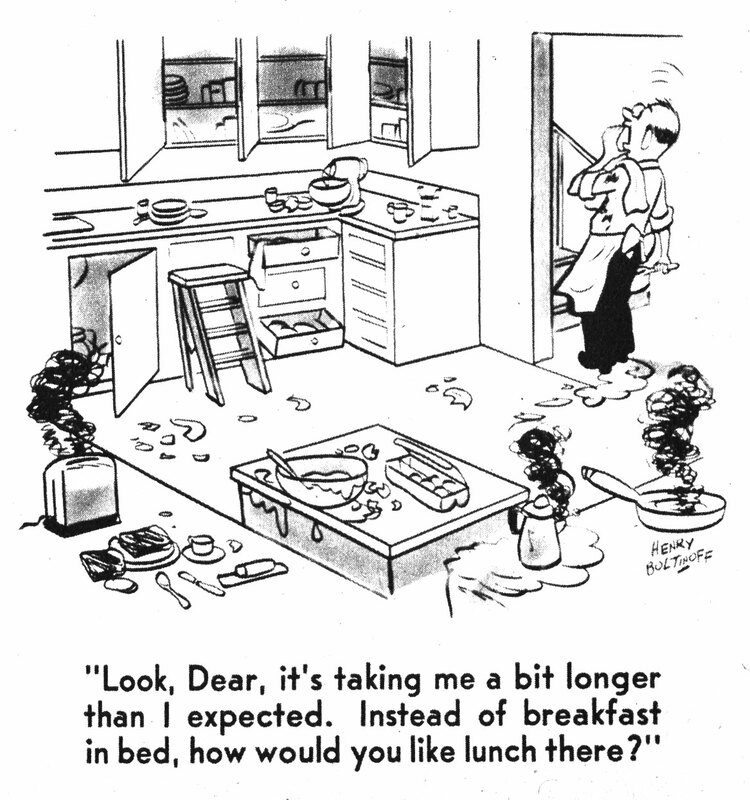 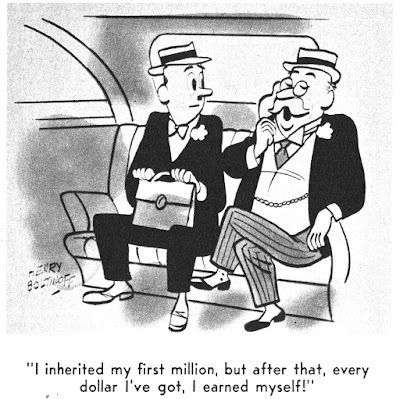 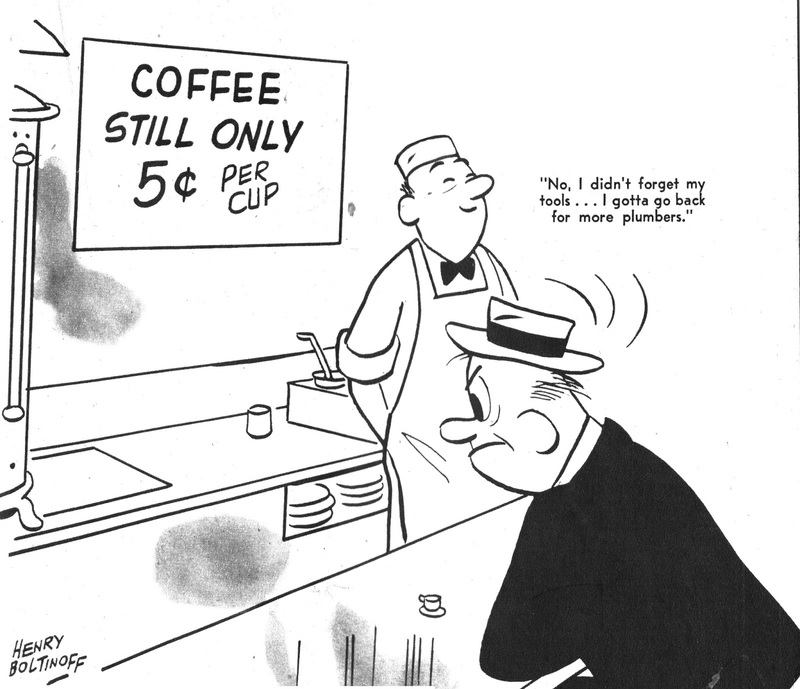 Mort Walker always said he was the highest seller in 1949 (which is what prompted him to create a newspaper strip, where he could - and would - earn a lot more), but in fact he counted that as being the highest seller in the top seven mid range magazines (excluding the New Yorker). 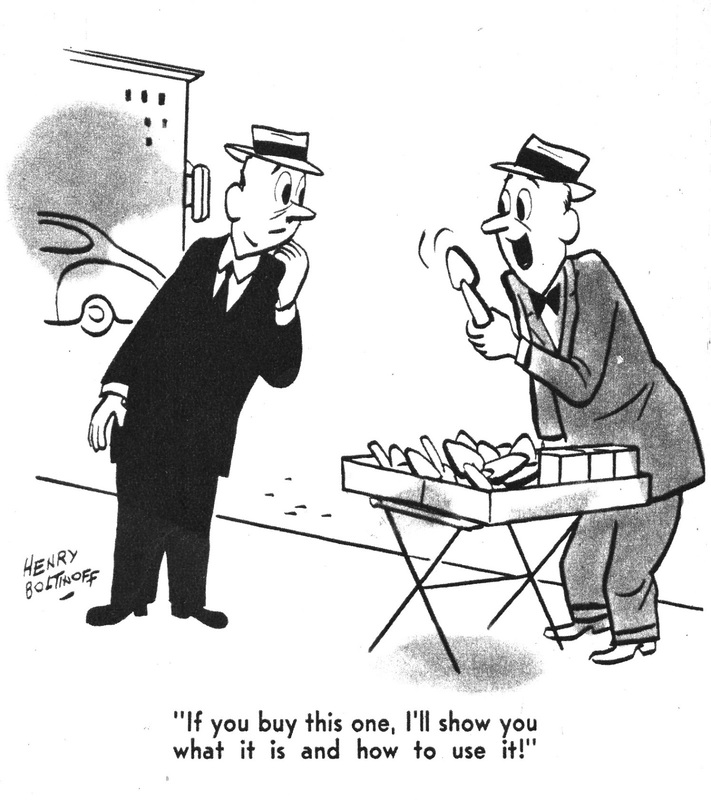 Boltinoff had no hesitation about where to sell, he sold to everyone. 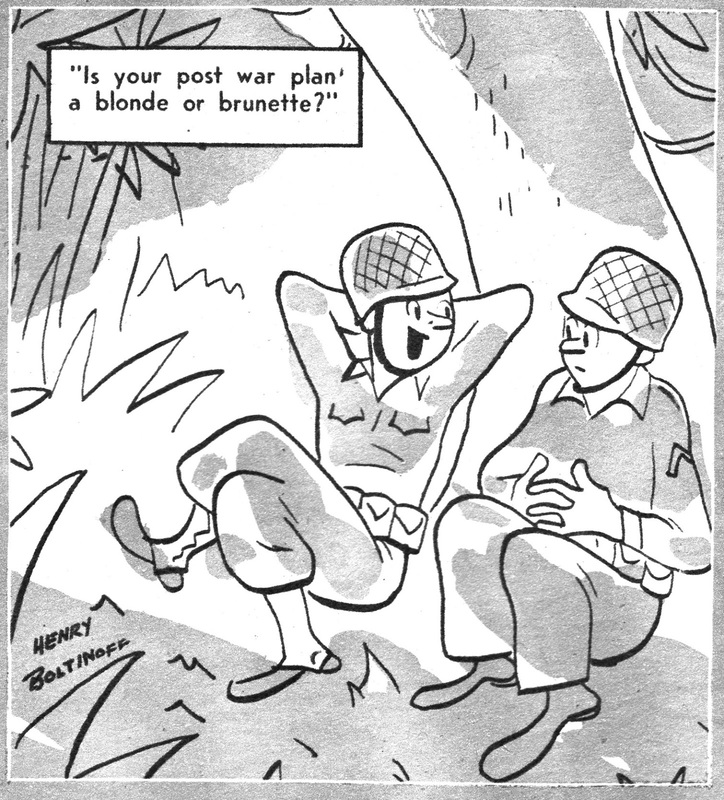 On top of that he did many pages for DC as well as some advertising artwork (which you can find here if you follow the link). 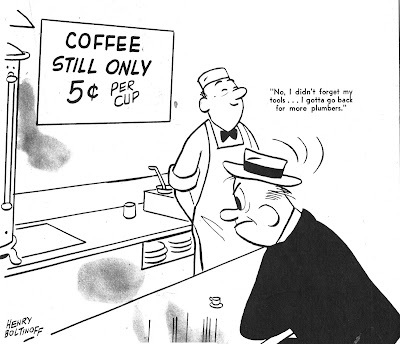 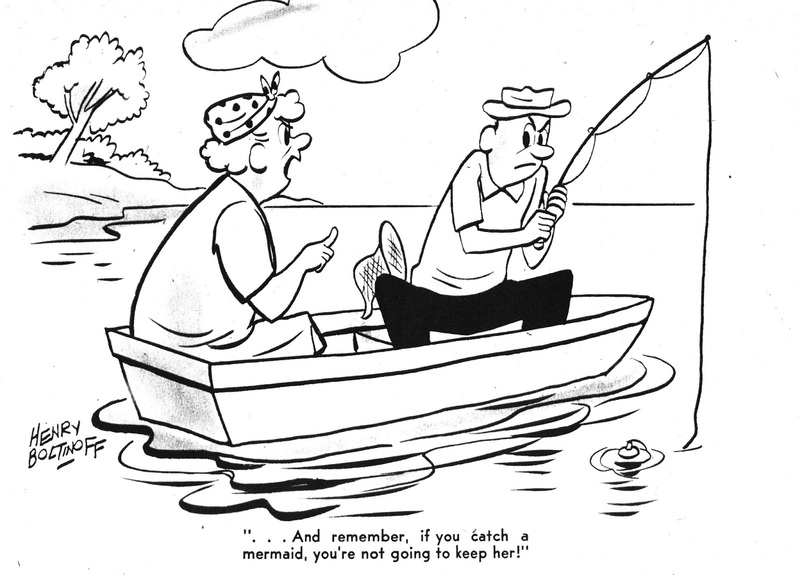 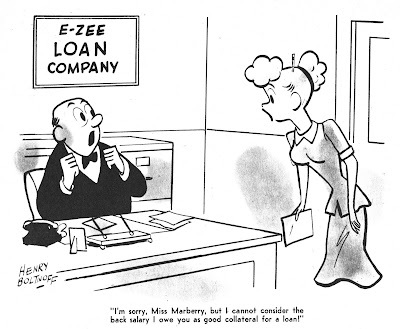 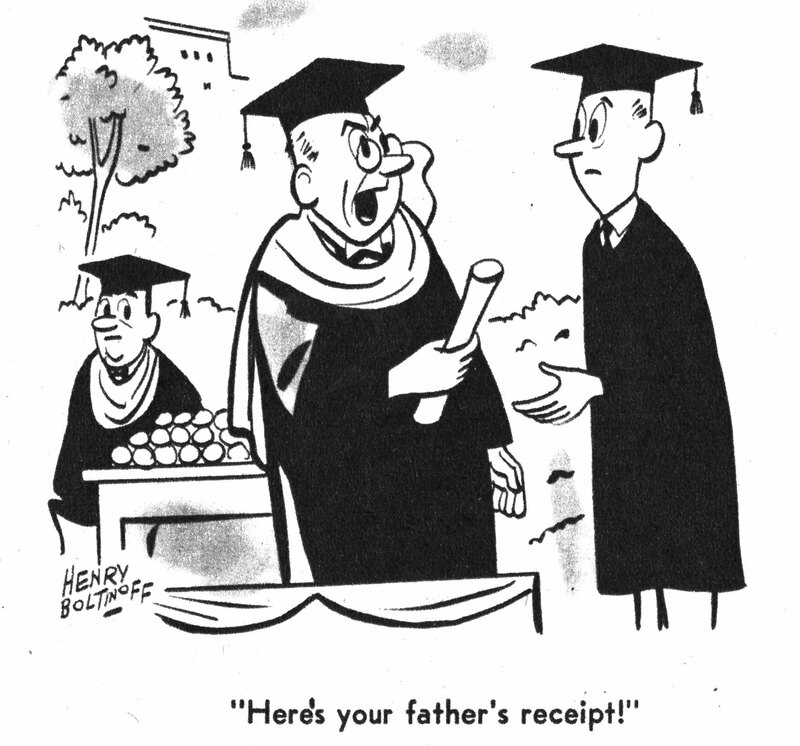 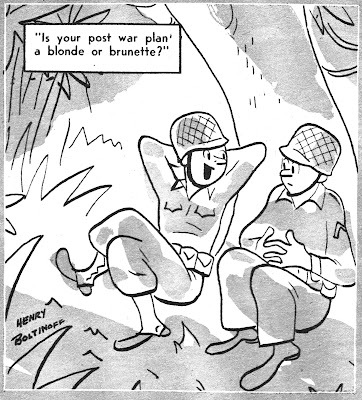 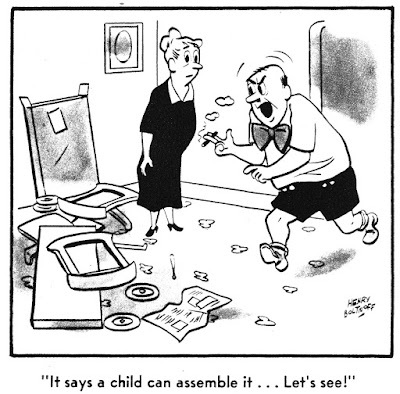 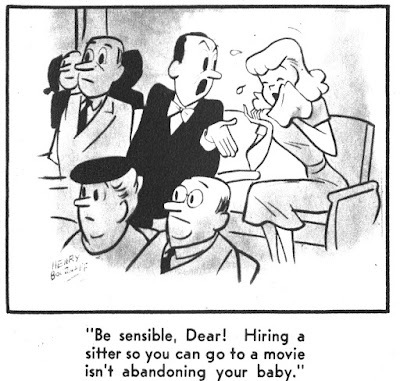 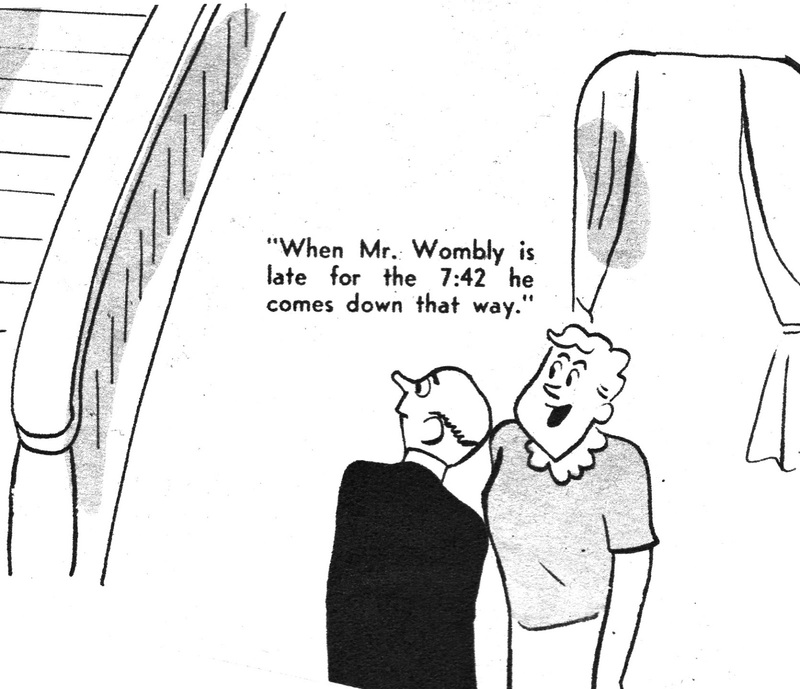 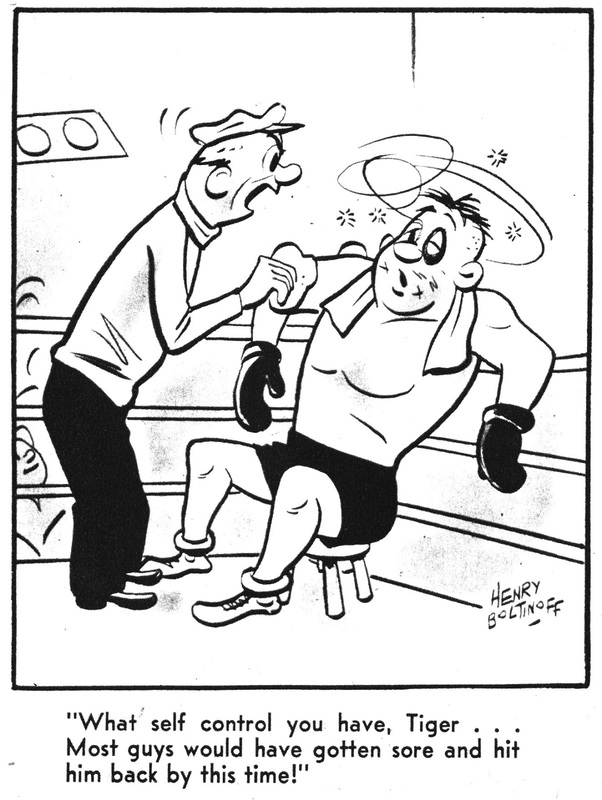 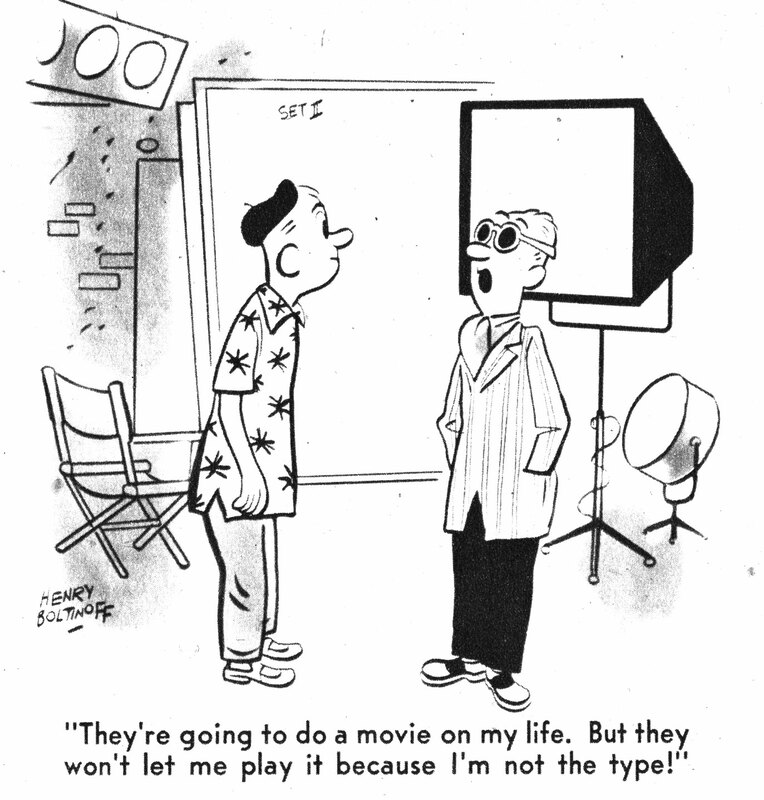 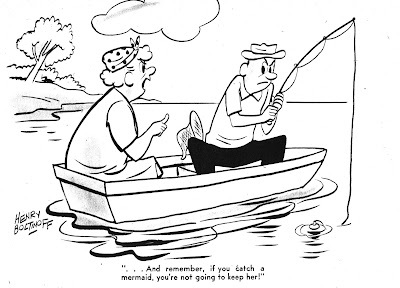 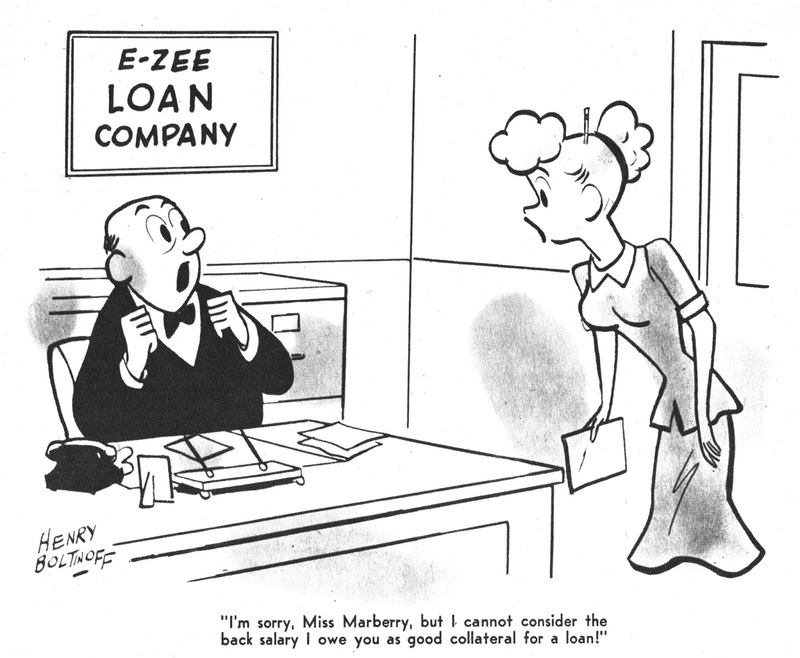 Of course, he was nowhere near as funny as Mort Walker, but he certainly was quick and popular. 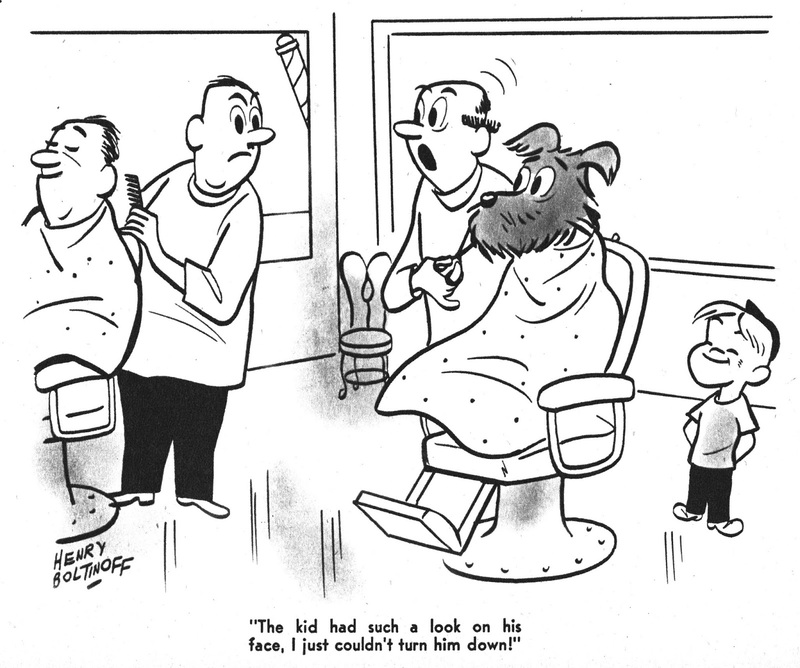 I have started scanning and cleaning his cartoons from the various magazines, and this post is merely the first in a long run of several. 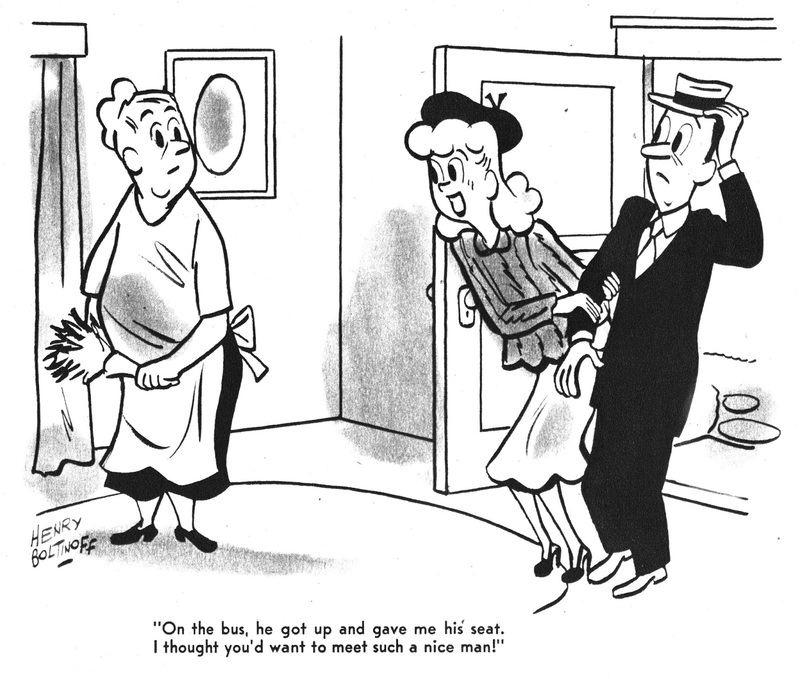 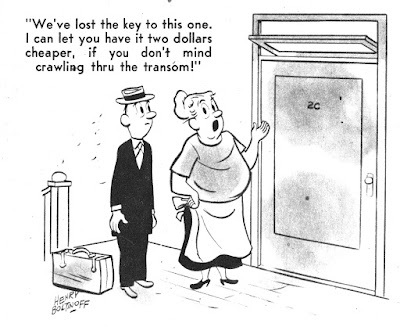 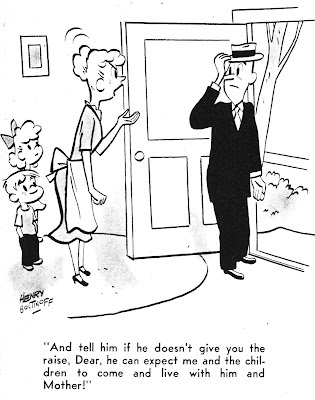 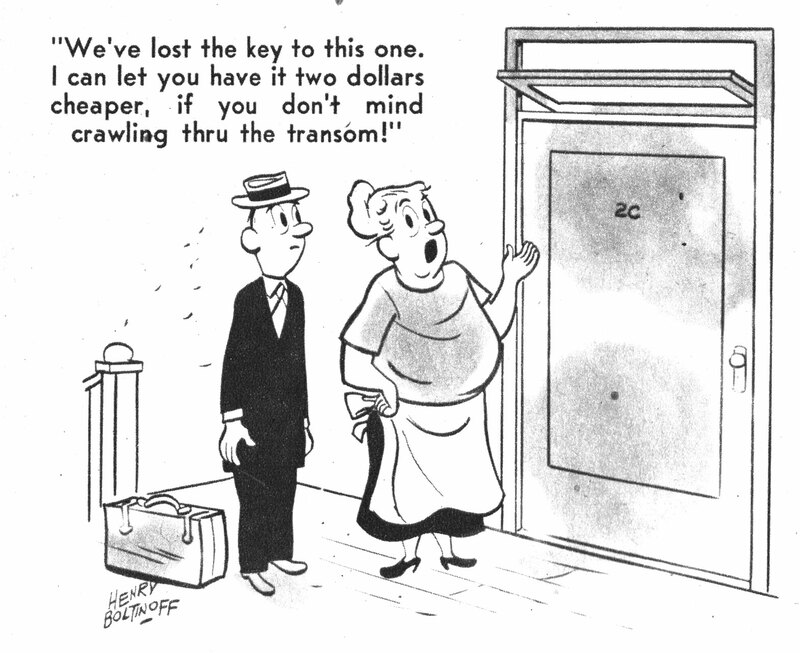 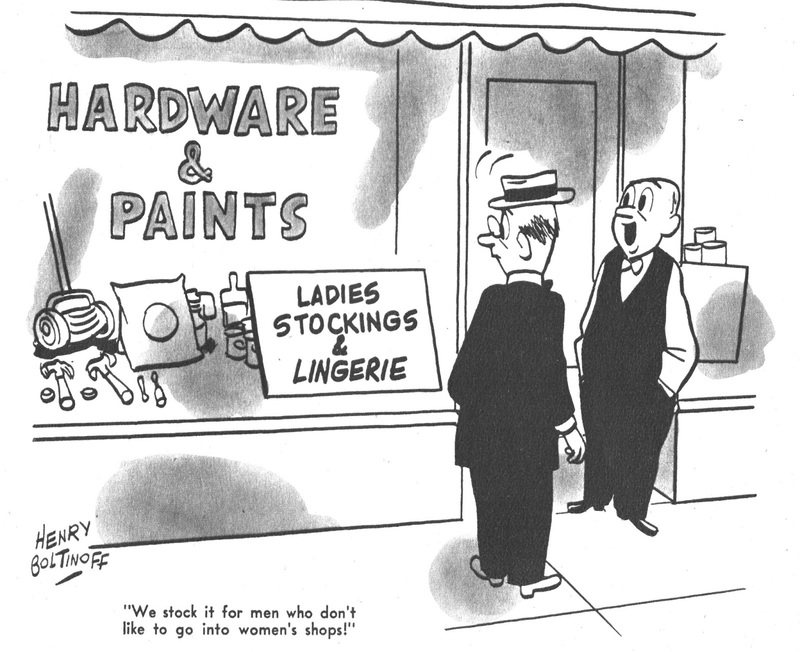 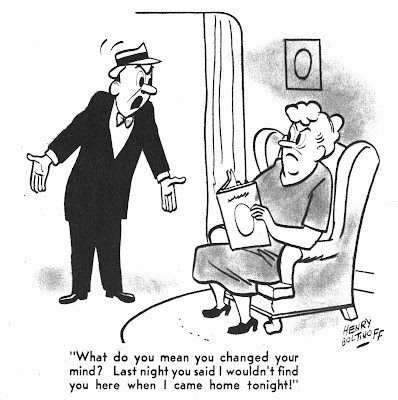 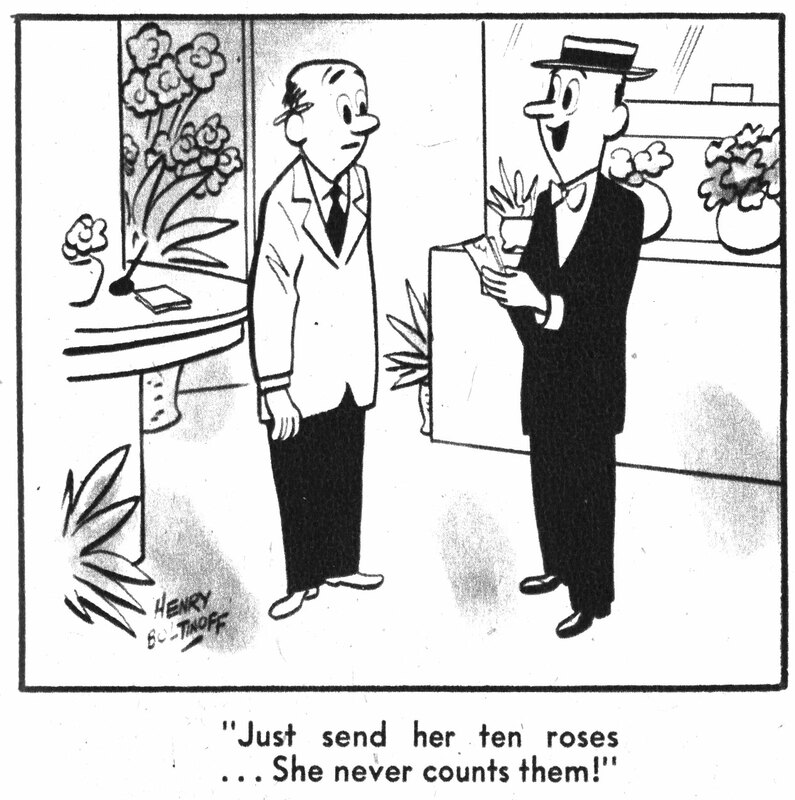 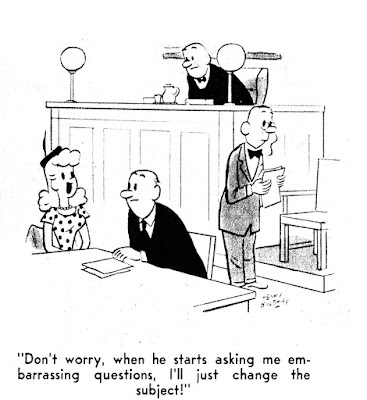 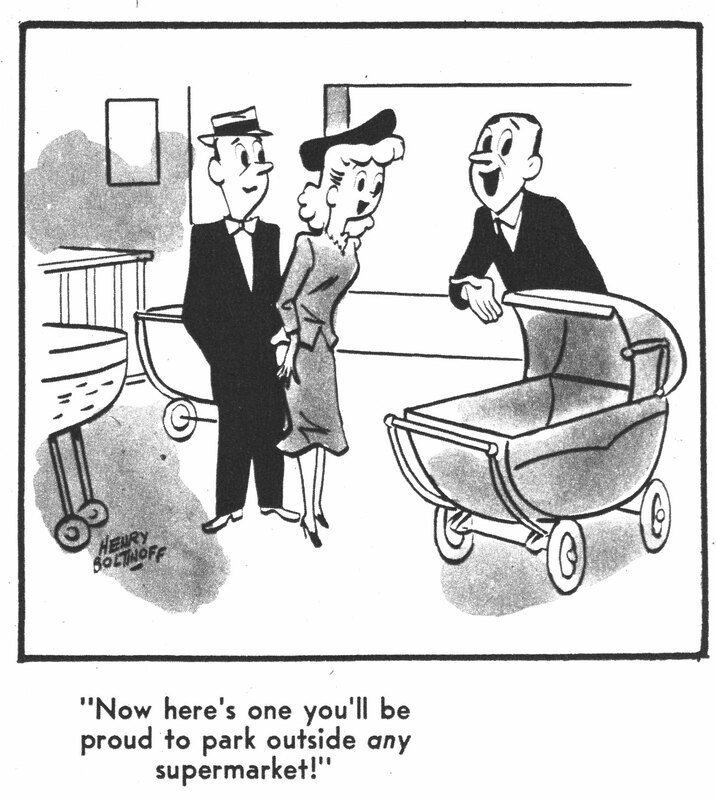 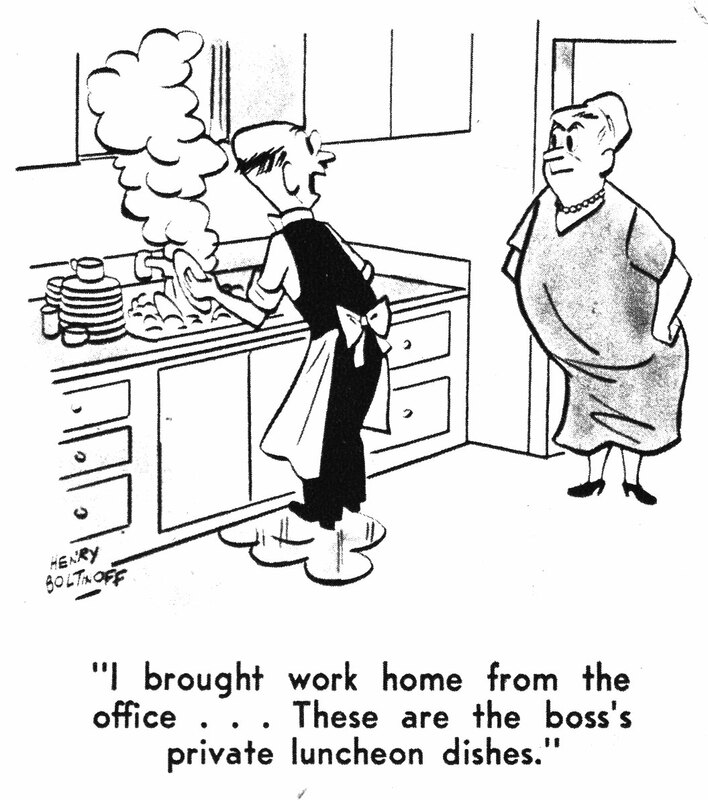 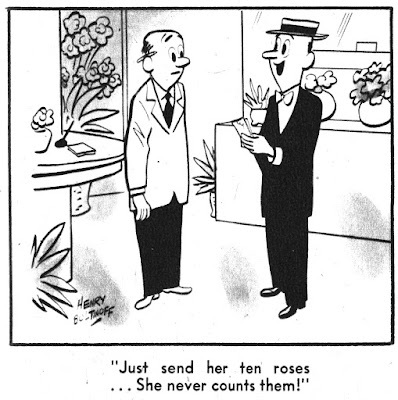 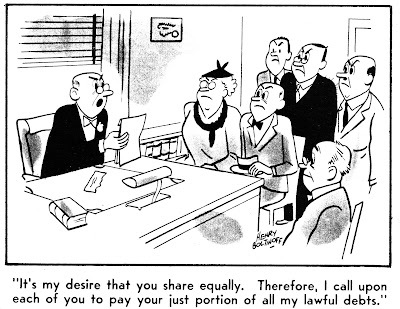 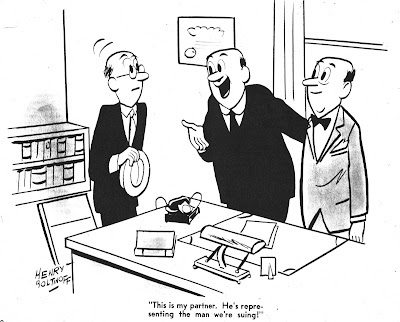 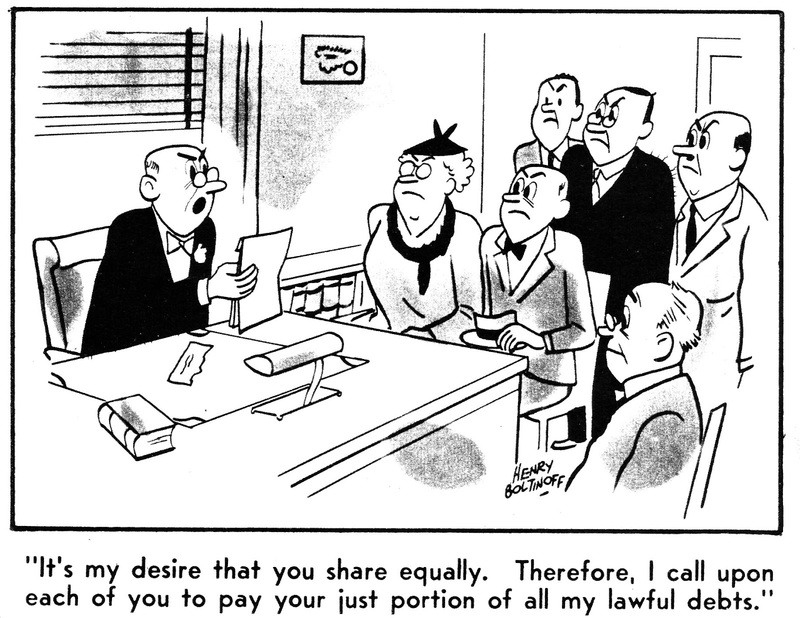 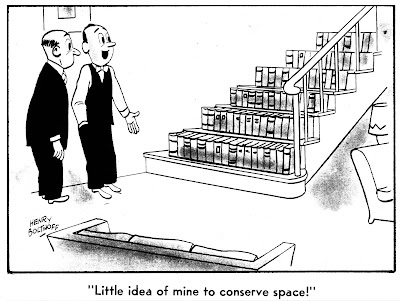 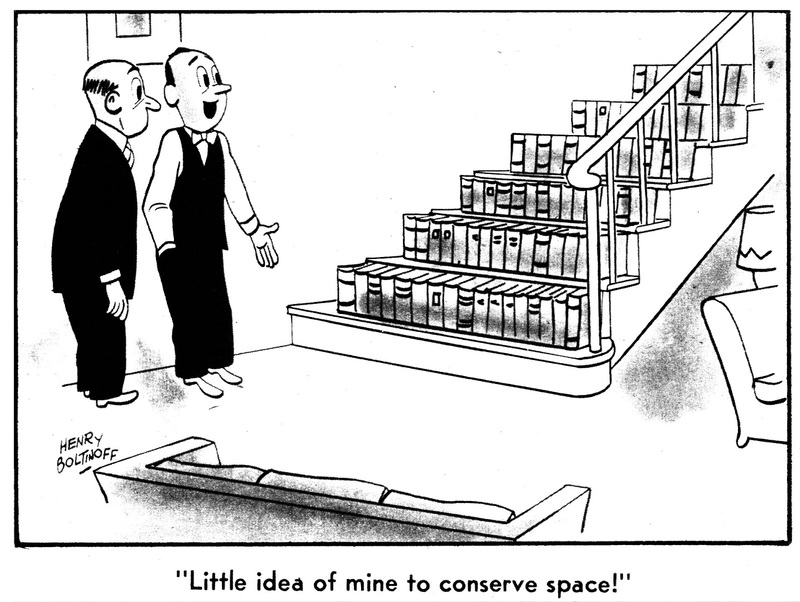 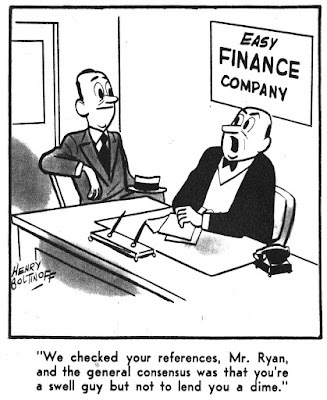 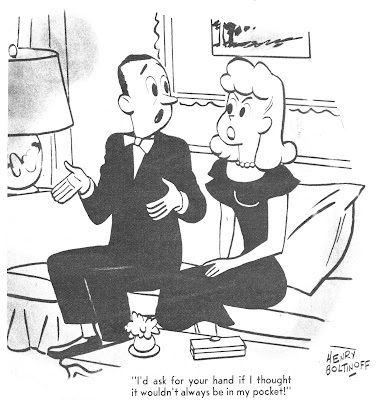 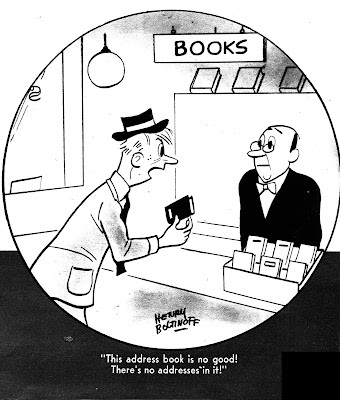 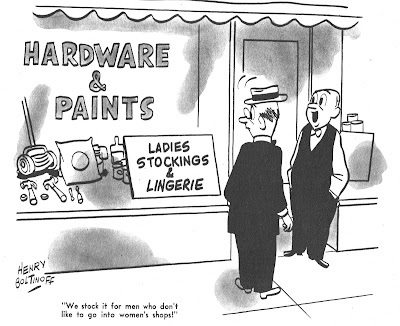 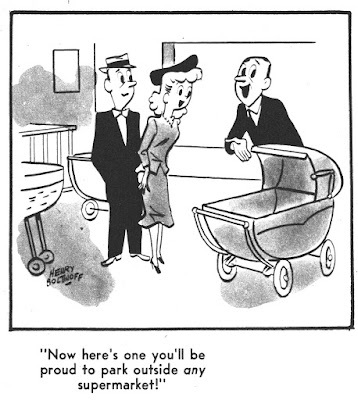 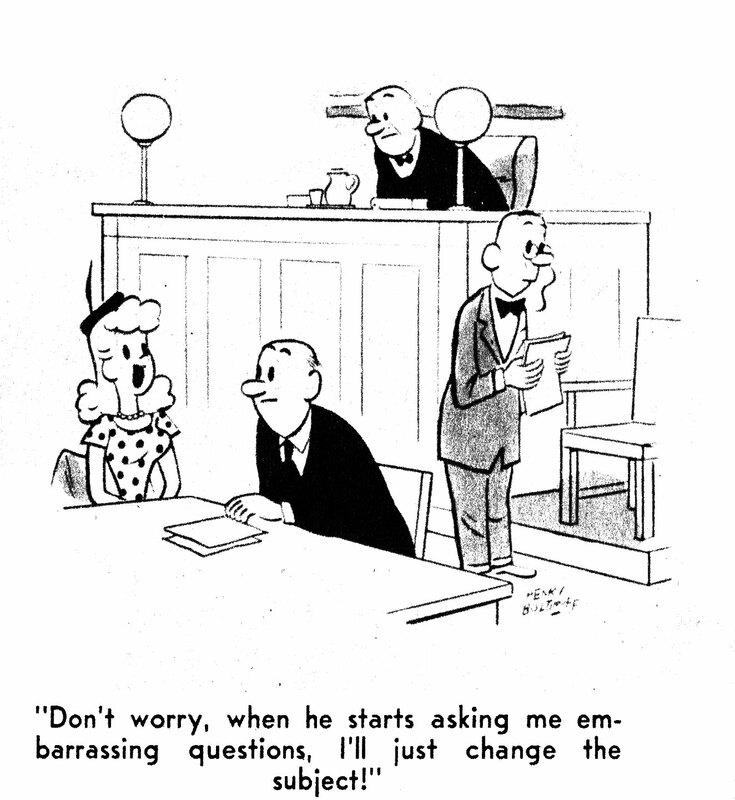 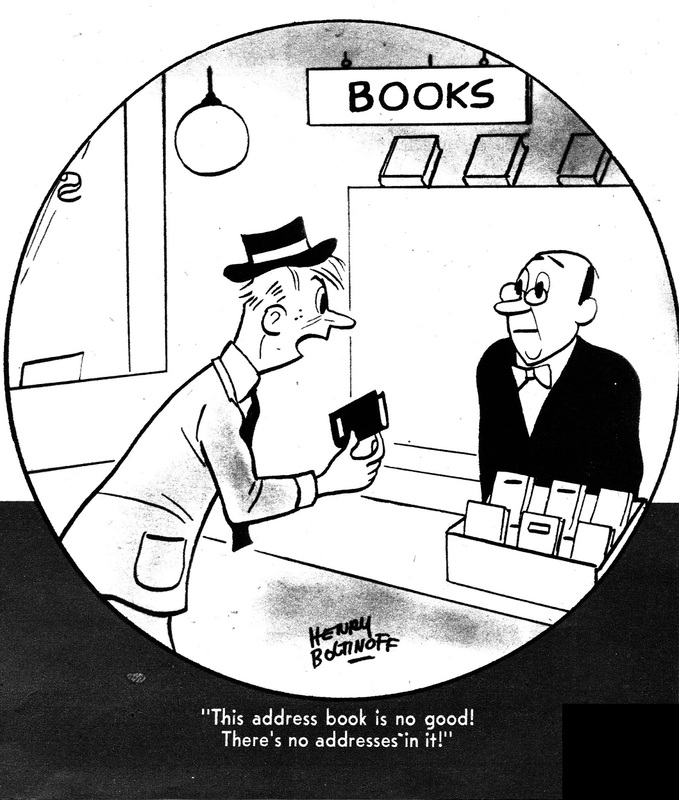 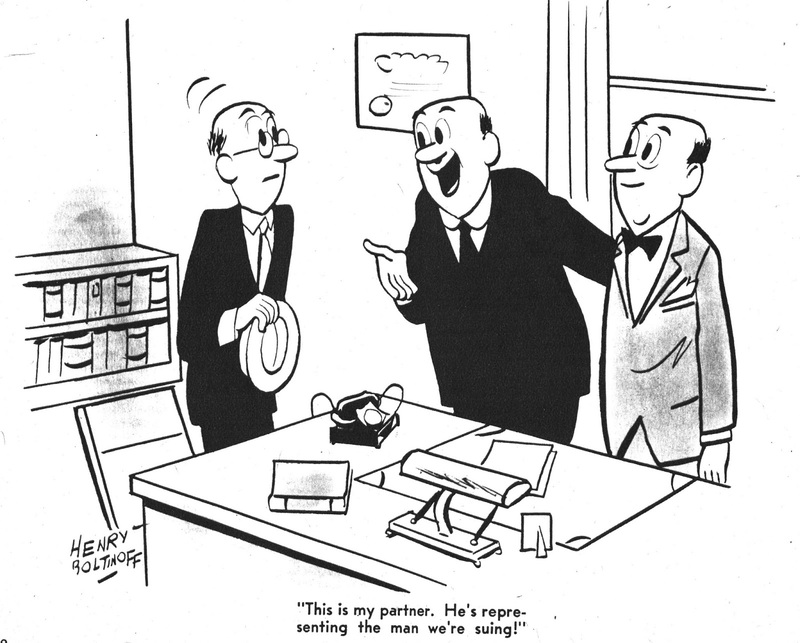 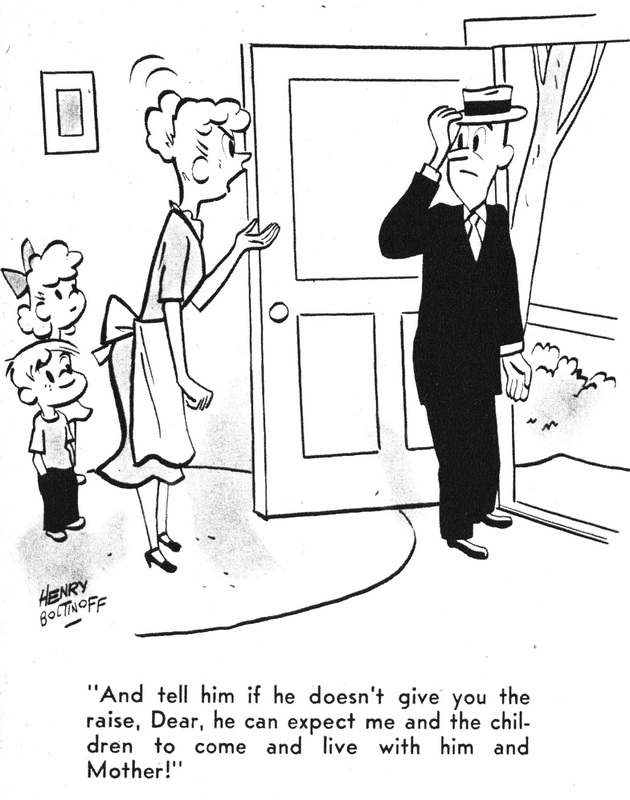 These are all his cartoons from about half of the issues I have of the long running Gags magazine (which ran from 1941 to 1951 in various sizes). 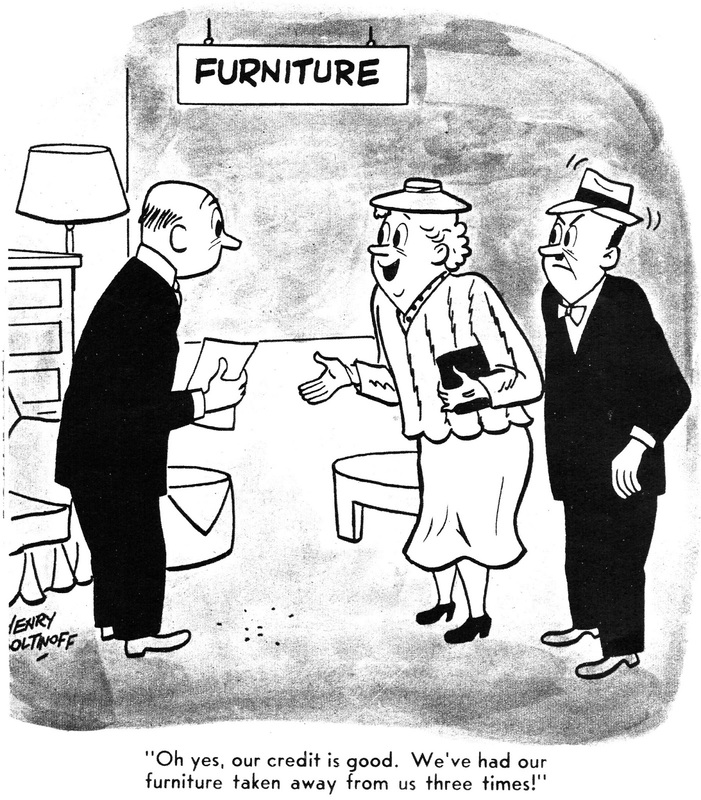 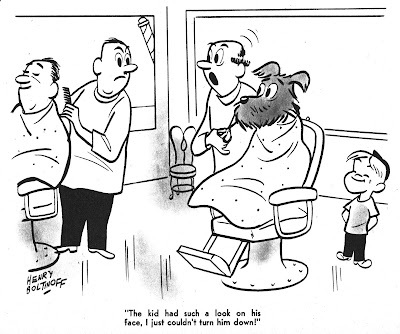 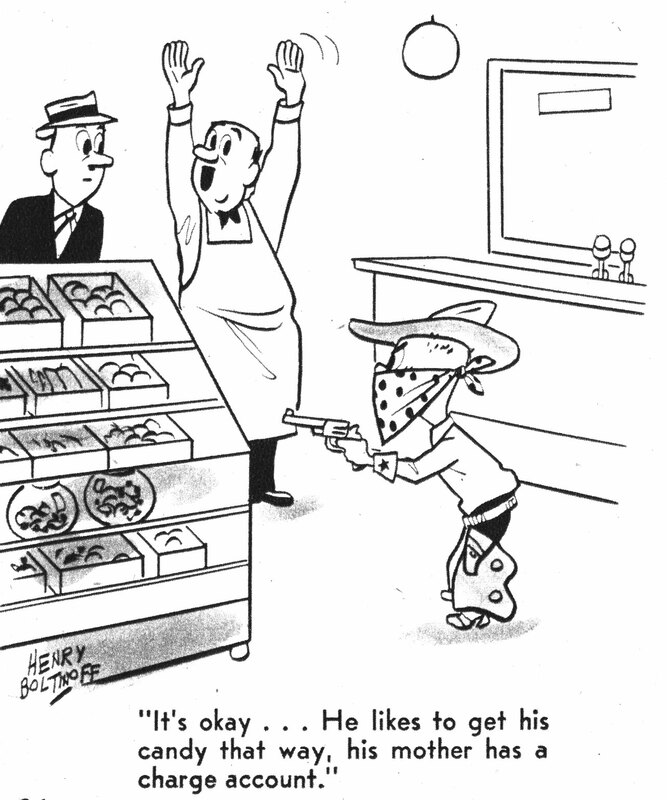 He was in almost every issue, usually with several cartoons - sometimes even as many as ten. 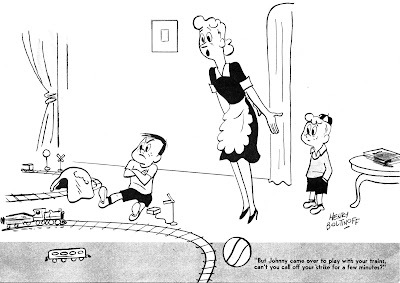 Not included yet are all the cartoons he did for the other magazines I have, or the full onepagers he did for the later (monthly) edition of Judge for over two years. Or the many samples I have already shown, which you can find by following the link.